Straight form the developer called Bread Team comes an ambitious hack and flash title called Phantom Trigger available for both the PC and Nintendo Switch. 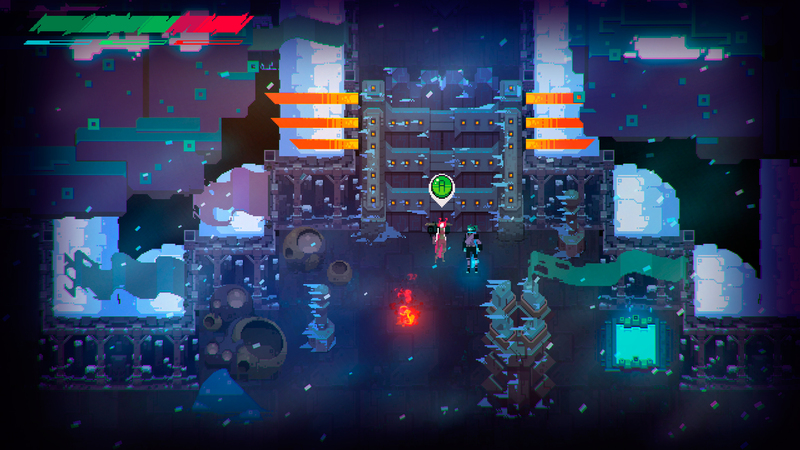 With the gameplay presented in a pixelated fashion with a 2D orientation filled with neon colors, let’s see how this “neon slasher” comes into play. You assume control of the main character named Stan where in the beginning you fall to the floor and end up in a hospital. You then take control of another character named Outsider. What I have to give Phantom Trigger kudos here is that this switching between characters and their stories gets players thinking further about what this Outsider is all about. It effectively engages players with not just the story but also to find out how these two separate characters in separate worlds have to do with each other. And with multiple endings, it adds replay value. The controls work well and are very responsive in Phantom Trigger. For the PC, I highly recommend using a controller as the button layouts are easy to figure out. Standard attacks are what you will be pulling off here against enemies. Further to that, you’ll be performing combos which only takes a short period of time to activate. This aspects adds a degree of skill requirement and challenge as you’ll need to time your combo attacks onto your enemies. 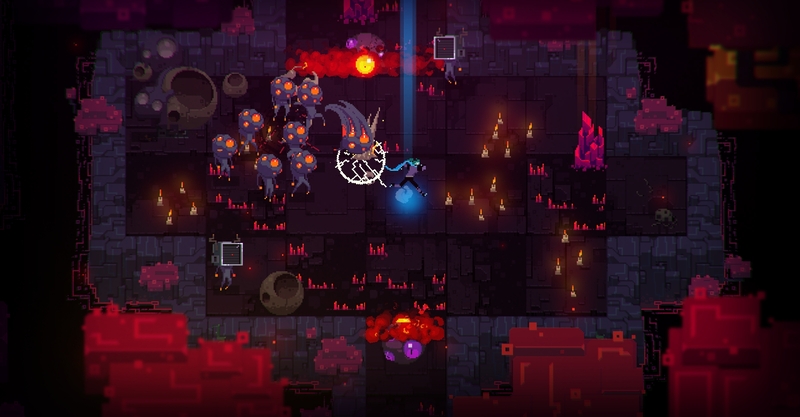 Phantom Trigger is all about taking on hordes of enemies within dungeons with the objective of surviving til the end boss in which you’ll want to hopefully defeat. But on the way of this journey, you need to unlock the door to the boss’s location, which requires you to achieve the goal in each dungeon. Note that Phantom Trigger makes use of the three types of weapons with specific colours (blue, red, and green) to defeat your enemies. These colour differences is what will help you solve some of the challenges you come across in this game. A few puzzle sequences along the way helps to challenge your mind further and gives a little variety in terms of the overall gameplay experience. 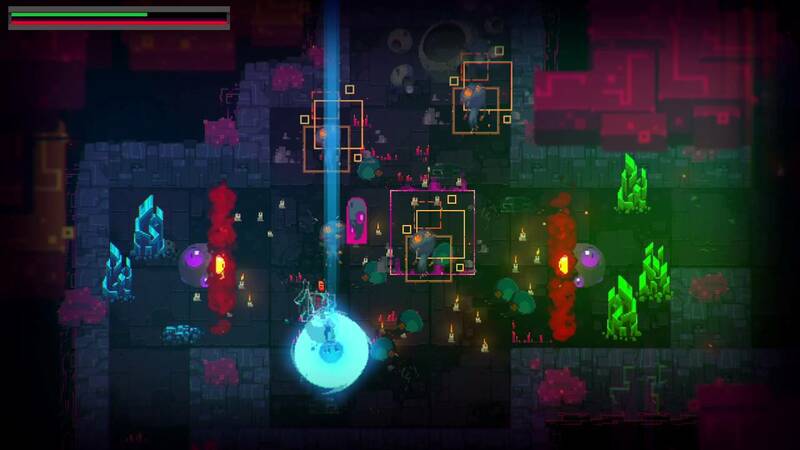 However, to some players, Phantom Trigger can feel repetitive as the variety in regards to enemies is quite limited. The visuals are presented in a pixelated fashion and as a result looks fantastic. It gives a retro arcade style look with the animation playing out very fluidly without frame skips. The colour arrangements also provides a graphical feast to the eyes. The music tracks are satisfactory but can get repetitive. The amount of tracks available are limited but do offer some slight variations as you progress within the dungeons. Still, the audio does fit perfectly with the atmosphere of the game. While there may potentially be moments where the game can lack variety, Phantom Trigger odes have its good qualities that compensates. If you are intrigued by this “neon slasher”, you’ll want to check this one out, be it on the PC or Nintendo Switch.